Formerly it was announced as All India Institute of Homoeopathy but later there is a policy decision not to establish new autonomous institution by Govt of India.therefore registering AIIH as an independent autonomous organisation was becoming difficult. 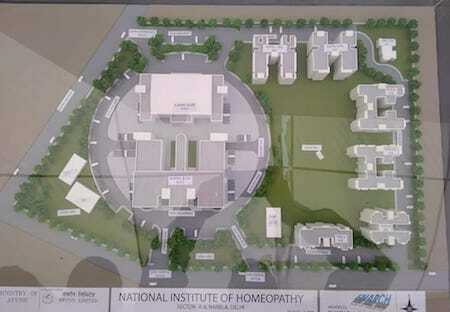 Therefore, the new institute has been made an extension of NIH, Kolkata. This is for administrative reasons only. It would target only post graduation and PhD level teaching to fill up the gap in high quality research and treatment in Homoeopathy. The OPD part of the hospital will consist of general and speciality clinic. 10 Specialty clinics with interdisciplinary research laboratories wherein 60 Scholars will have access to Post Graduate and Doctoral (MD and PhD/ DM) programs every year. It will also impart re-orientation training and continuing Medical Education to Homoeopathic Physicians and Teachers. It would aim at bringing a valid and useful synergy between established practices of Homoeopathy and modern tools and technology in modern health care. The institute would offer postgraduate and doctoral courses in various disciplines of Homoeopathy and focus on fundamental research, drug development, standardization, quality control, safety evaluation and scientific validation of Homoeopathy medicine and practices. This institute shall also function as an International Collaborative Centre for global promotion and research in Homoeopathy. Narela in New Delhi is the border area of Delhi in proximity to town of Sonipat, in the State of Haryana. Area does not have any research Institutes in health care. High per capita income and higher population density qualify the location for AIIH. 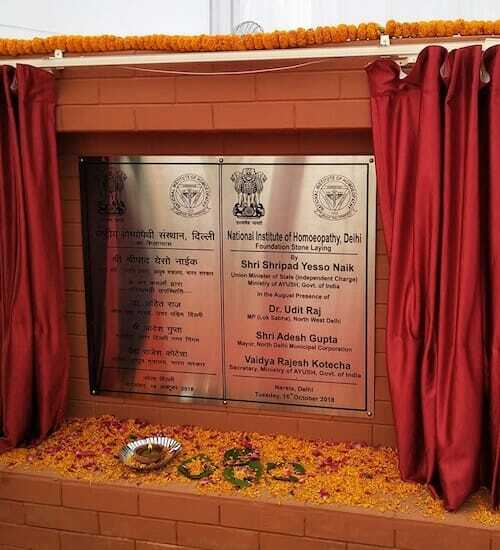 The Ministry of AYUSH has sourced 10 Acers of land from DDA for construction of the Institute. The availability of most of the herbs and processing units makes this location ideal for building such an Institute. 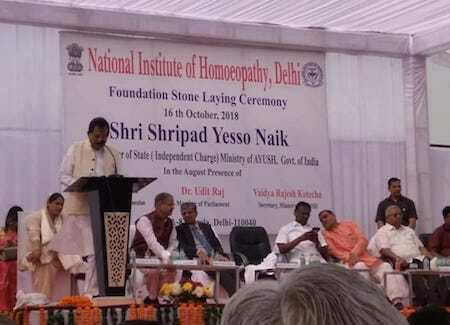 Proximity to Delhi & NCR ensures good number of patients as well as research scholars and Homoeopathy practitioners.